Honda Motor Co is set to showcase the 2019 Honda Insight hybrid at the upcoming 2018 New York Motor Show. While Honda had already showcased an early prototype of the Insight hybrid sedan at the 2018 Detroit Auto Show, this time it will be showcased in production-ready guise. 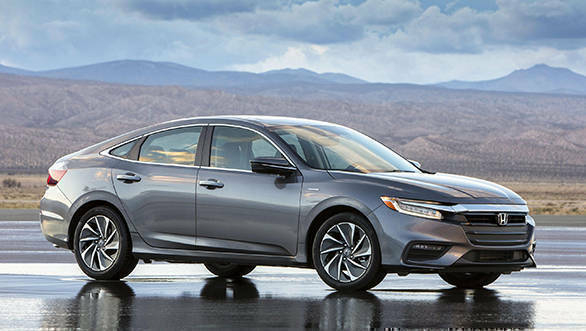 The Honda Insight hybrid is being touted as a replacement for the Honda Civic hybrid in the US market. 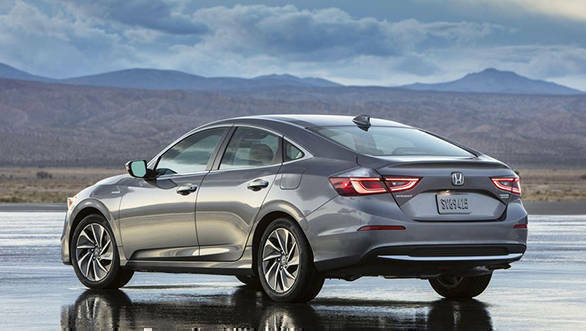 Honda claims that the Insight hybrid is capable of the 55mpg (23.3kmpl approximately). It comes powered by a 1.5-litre four-cylinder petrol engine, which is supplemented by an electric motor, which produces a combined 153PS and 267Nm. The Insight will be built at Honda's plant in the Greensburg, Indiana in the US. Honda had recently showcased its latest-gen Civic at the 2018 Auto Expo. The Insight receives a lithium-ion battery which is packaged under the rear seat. However, this battery pack isn't large enough to offer plug-in-like range, and the Insight operates as a series hybrid instead, just like the Toyota Prius. The regenerative braking can also be adjusted to different levels. The Honda Insight hybrid shares its chassis with the Civic, but owing to a longer wheelbase, the former has 38mm more rear legroom. The Insight also has more boot space. 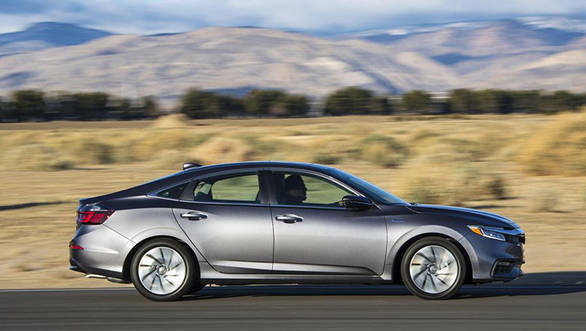 In terms of equipment, the 2019 Honda Insight gets a suite of active and passive safety systems as standard. These include forward collision warning, automatic emergency braking, lane departure warning, lane keep assist and adaptive cruise control. There will also be a camera under the passenger side mirror to look at the driver's blind spot. The Insight also sports an 8-inch touchscreen infotainment system in the top Touring variant.